Mother’s Day. 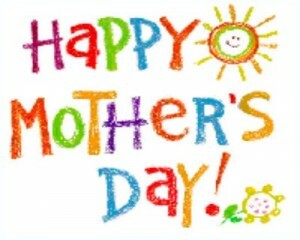 A time of year to honor the gifts and love your mother has unselfishly offered you all these years. Latinofoodie would like to acknowledge our mothers — Norma Rodriguez and Cecilia Chavez — two powerful and loving women who gave their love unconditionally in a grand way to us. We’re lucky to still have Art’s mom around and wish we were with her in Colorado Springs on Sunday to enjoy her homemade cooking. Art says he is especially missing right now her gorditas filled with potatoes. I know my mom, Cecilia, is watching over me like an angel. I miss everything about her, especially her cooking. If you’re lucky enough to have your mom with you, why not skip the long lines at restaurants and instead whip up a Mother’s Day homemade brunch with love. Nothing says, “I love you,” more than donning your apron and getting behind the stove on Mother’s Day. We hope the dishes below inspire you this Mother’s Day. We pulled our favorite recipes from past blog posts. Set the table with beautiful, brightly colored flowers and don’t forget to chill the champagne! Add a bit of guava juice for a delightful, sweet twist from the traditional mimosa made with orange juice. Most importantly, give your mama a great big beso y un abrazote. Life is too short not to enjoy good food and spend time with your mama. Papas con Chorizo — Waking up to the aroma of the spicy chorizo softening in a sartén puts a smile on my face every time. I have to admit. It reminds me of home and being with my mom. As a child, I knew mom was in a good mood when she shared her love with us through Saturday morning breakfast. 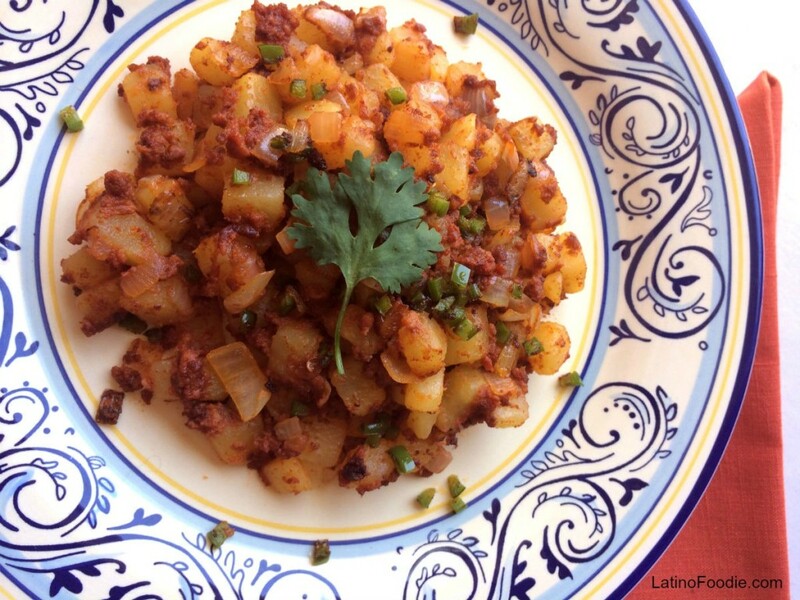 Your mama will have a huge smile on her face when she smells chorizo con papas cooking for Mother’s Day Brunch. 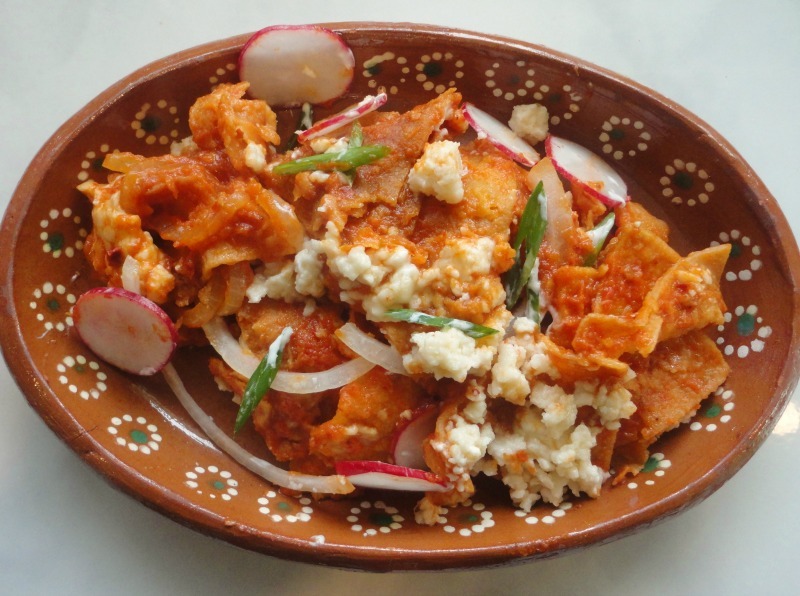 Chilaquiles — Nothing better than homemade chilaquiles: fried corn tortilla strips that are crispy to the crunch, red chile sauce, onions, and cheese. I’m talking lots and lots of queso here. How could your mama say no to this dish? Trust me, she’ll feel the love! 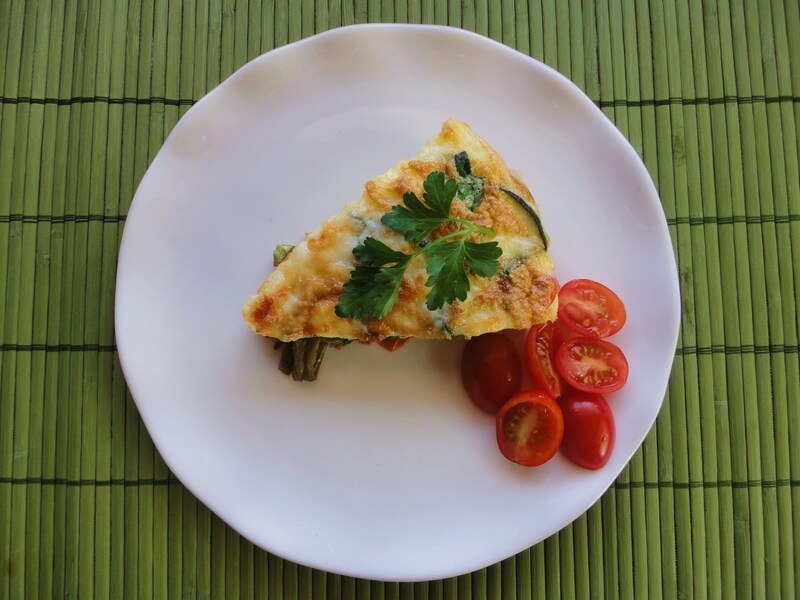 Frittata de Nopalitos — LatinoFoodie has been determined to incorporate more nopales into the dishes we prepare. Nopales (cactus) are absolutely good for you and your mama. Mix them with eggs to make a frittata or with scrambled eggs with slices of serrano peppers. Strawberry Shortcakes with Vanilla Ice Cream — There is something about strawberry shortcakes that takes me back to childhood. 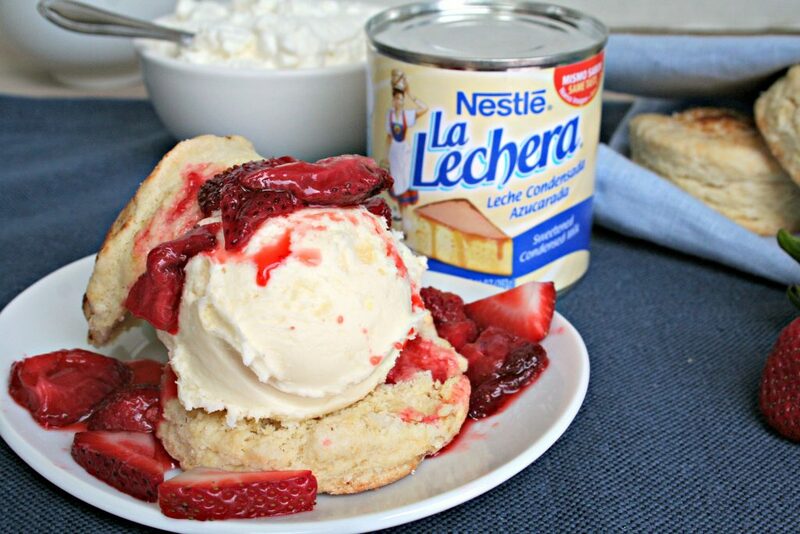 After making a batch, we were reminded of how quick and satisfying this dessert is to make: macerated strawberries, buttery shortcake biscuits, and soft, creamy frozen custard made with La Lechera Sweetened Condensed Milk.